Want to increase your yield by 30%?! We’ve been in the indoor gardening industry for 40 years and Gavita is not just an up-and-comer, it’s here to stay. Holland-made Gavita and German-made Ushio make a spectacular combo (ballast, fixture and bulb) for your indoor garden. 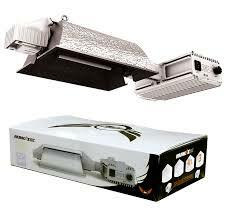 Professional 600 watt high frequency electronic ballast. 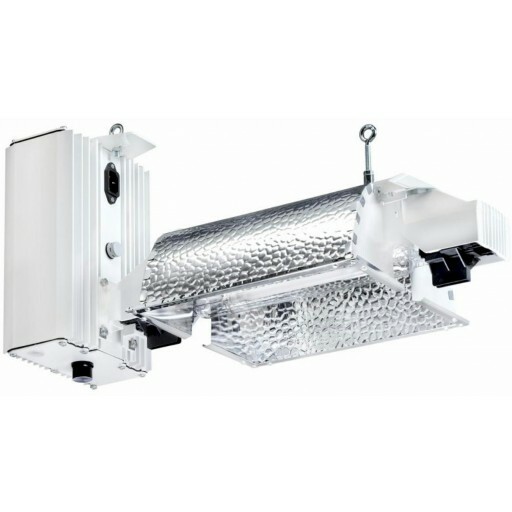 Including high efficiency Miro aluminum horticultural HortiStar HR96 reflector (96% efficiency). Only suitable for use with 600 watt EL lamp (included): No acoustic resonance, up to 8% more grow light and light maintenance after 5000 hours >95%. Microprocessor controlled. Driver efficiency >95%. Sealed housing with Gore-Tex ventilation plug. Reflector easily replaceable. Very low heat dissipation and very low weight. LED status indicator. Comes with 16 ft power cord. Operates at 240 Volts. 1 year warranty on the lamp.